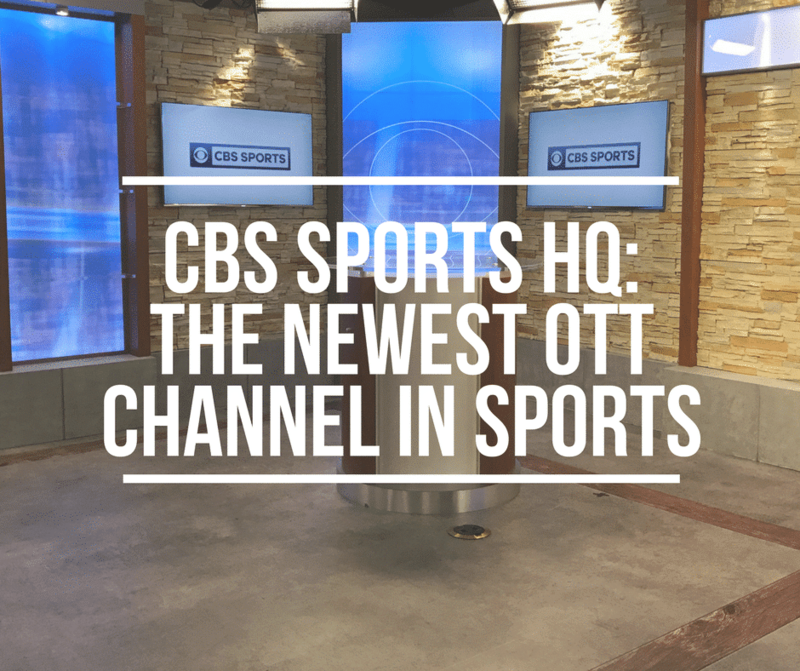 CBS launched their latest OTT channel called CBS Sports HQ this February as a cooperative venture between CBS Sports and CBS Interactive. This most recent entry into the sports information video service business has a somewhat unique element to it. It’s free. While available through the CBS Sports App on Roku, Apple TV, Amazonfire and Chromecast, it’s also available on CBSSports.com and the CBS Sports Mobile app, making the content accessible from virtually any device at any time. With the success of their CBSN product, first launched in 2014, adding a companion sports service was a natural progression for the company. “CBS Sports HQ is another key step in the evolution of the CBS Corporation,” said Leslie Mooves, Chairmen and CEO of CBS. 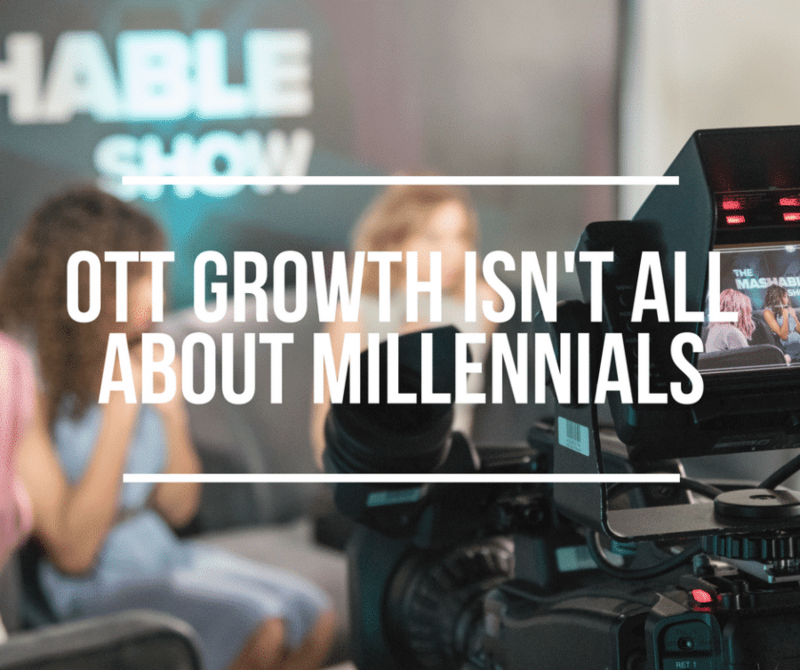 The timing for the launch could not be better for this new OTT service. With the Men’s NCAA basketball tournament and Masters golf on the CBS’s March and April calendar, this new network will have tremendous access to two of the premier sporting events of the year. Like CBSN, CBS Sports HQ will not only provide a live sports information service, but also provide, within the same screen, DVR capability for the viewer to scroll through previous segments to pick out information of interest. Combining these two functions allows viewers to surf in and out of the service not having to worry about when they will see a segment of interest. This is a key component to the success of both CBSN and CBS Sports HQ. Build from scratch, or not? 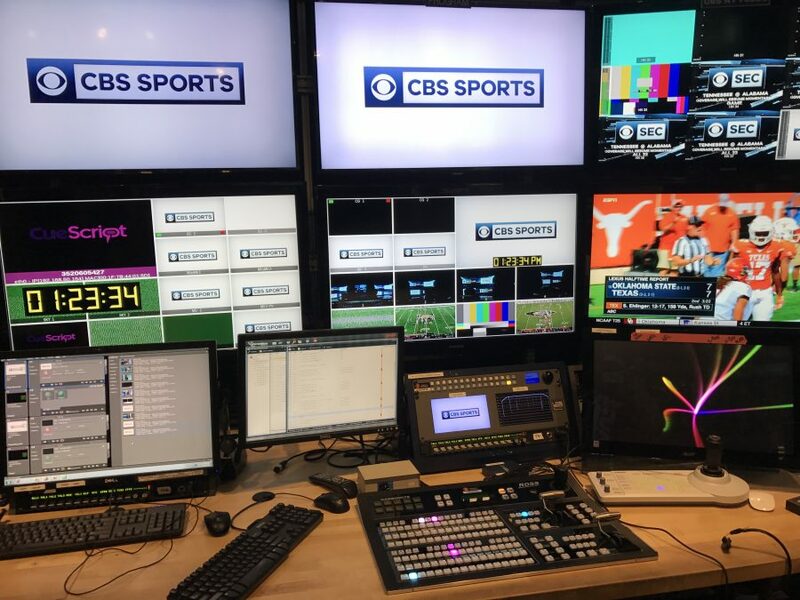 With the goal to replicate the functionality of CBSN, the CBS Interactive team needed to decide whether to build a separate, side-by-side, video production workflow from their already established production chain or combine the needs of the new network within the existing workflow, which provides video content for their websites of CBS Sports.com, Sportsline, 247 Sports, Max Preps and CBS Sports Fantasy. Decisions like these are driven by headcount, technology and overall budgetary impact. 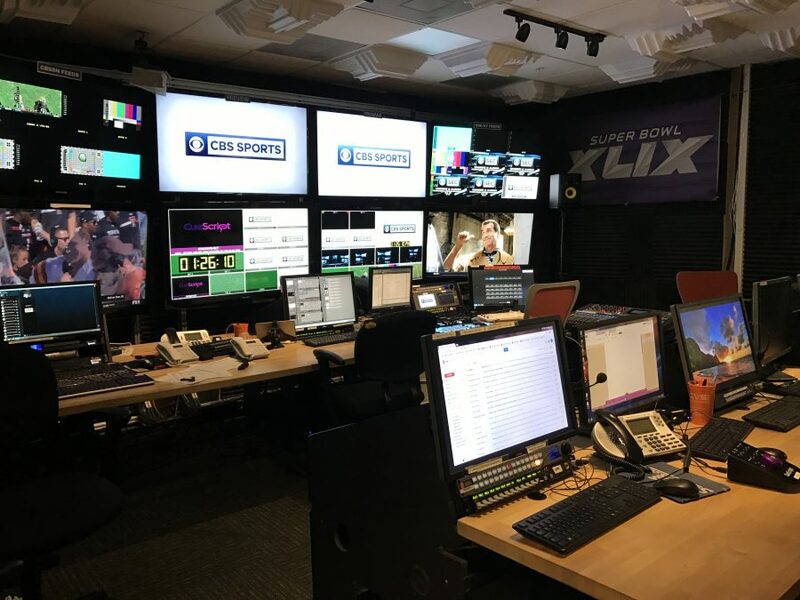 CBS Interactive chose to combine existing technology, personnel and facilities with incremental adds in newsroom, control room and master control technology to create a workflow that would support current needs and scale to support future growth. What to do and in what order. As lead for the consulting team brought in to assist them through technology and workflow challenges, it was important for us to capture existing capabilities, so as to not duplicate resources that would continue to be utilized in our vendor RFP’s. Also, keeping the business functioning during the renovation process was a required part of the project that had to be accounted for by vendors and integrators alike. Once a workflow was determined the next step was to work with an integrator to create an RFP for vendors to bid against. There were varied solutions to choose from by several vendors. All quality products which were readily available in the marketplace. The decision came down to which products and vendors would best integrate with the existing facilities and proprietary applications used by the CBS Interactive team. The next step was to finalize timelines and budgets for both vendors and in-house teams. As equipment agreements were made, it was also important to account for any post-installation and commissioning support desired (Service Licensing Agreements). Pre-installation work was done to remove existing equipment which would no longer be needed in order to make space for the new technology. Equipment installations, vendor commissioning, staff training, and rehearsals were all part of the developed schedule and shared with the project team. Like most projects, but especially one where you’re integrating into existing equipment, adjustments needed to be made. From a budgeting and scheduling standpoint, it is essential to build-in contingencies for additional time and dollars to support the project’s original scope. Any change in scope needs to be thoroughly vetted for budgetary and timeline impact. I haven’t heard anyone ever complain about a project coming in ahead of schedule and under-budget. With a reasonable contingency appropriation, the likelihood is one will come in on-time and on-budget more often than not. As with any project, having the in-house team participate and take ownership is key to making the project not only a success at launch, but have continued success weeks, months and years after when everyone else has moved on to the next big thing. Making sure you plan in a specific order, which best supports the needs of your project, will help insure a positive outcome. This buildout, as any buildout, had its challenges, but in the end a quality product was created that will make CBS Sports HQ a destination for sports fans.